IRISH WATER IS working to repair a significant burst on a water main in Dundalk, Co Louth. The burst happened on a combined storm and sewage main on Quay Street, between the pumping station and the wastewater treatment plant. Once the burst was reported, the pumping station was shut down to limit the impact on the locality, according to Irish Water. Irish Water crews are on site assessing the repairs required and a clean-up of the impacted area is underway. Traffic management will remain in place for the duration of the repairs. Tankers are also on site transferring wastewater to the treatment plant until repair works are complete. “We understand the concern of property owners affected by the incident and apologise for any inconvenience caused,” Irish Water said in a statement. “We would also like to apologise to any other members of the public inconvenienced as a result of this issue,” it said. Irish Water said it is “aware of issues associated with this main” and that it is “prioritising plans to address this problematic section of main as soon as possible”. Email “Works underway to repair significant burst on water main in Dundalk”. 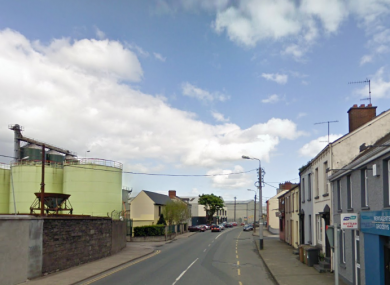 Feedback on “Works underway to repair significant burst on water main in Dundalk”.